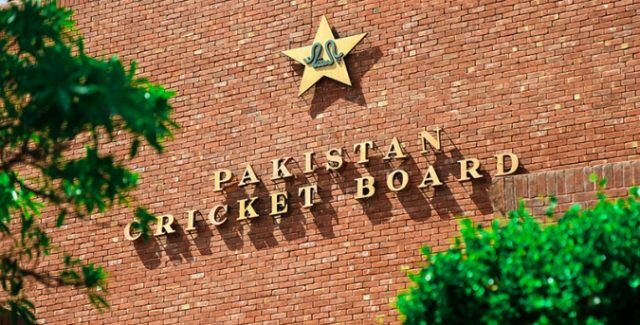 Pakistan cricket has been trapped in favoritism since several decades whether in appointing officials for the board or the selection of players. The level of merit has been demolished in the PCB. Over the years favoritism often had created the situation of like and dislike which lead to the loss of many talented players who could have done so much for the country. If we eye onto the recent ODI squad of the National team since Champions trophy, there are almost 12 players in shuffle from different regions of Punjab, whereas only 5 Players apart from Punjab, including Sarfraz Ahmed (Karachi), Rumman Raees (Karachi), Junaid Khan (Abbottabad), Usman Khan Shinwari (FATA) and KPK born Fakhar Zaman. Similarly in Test’s and T20i’s squad more than a half team belongs to Punjab and minority is from other parts of the country. Is there any kind of special talent present in Punjab which doesn’t exist in other parts of the country or the PCB does not want to pay attention towards the other regions. Our country has immense talent but it got discouraged due to lack of support. Over the years, no quality player has been produced from Balochistan. We haven’t seen any efforts of the PCB to extract talented players of Balochistan. Balochistan players were ignored in the PSL 3 draft which raised much criticism against the PCB. Meanwhile, Najam Sethi settled the things promising that the next year’s PSL draft would include players of each and every region. On the other hand, the Sindh government was also failed to impress the sports community in the province as they don’t support their players. Recently, while concluding Inter-provincial games, Sindh settled on the fourth slot. However, Punjab claimed first spot with their tremendous performances in each discipline. This worst performance of Sindh team has shown the legacy of the Sindh sports board (SSB). Similarly, the Sindh cricketers were also being ignored continuously by the PCB. The big example is Fawad Alam who has been performing with consistency scoring heavy runs in domestic cricket. He recently had crossed the 10,000 runs with an average of 55.37 and became the second fastest players to do so, after Hanif Mohammed. Fawad scored mammoth 168 on his Test debut in 2009 against Srilanka. It is surprising that he was never given a chance to play for the national side again despite scoring 250 runs in the first three tests of his career averaging 41.66. On his return to the ODI’s in 2014, he magnificently proved himself in Asia cup scoring 70 at a time when Pakistan was struck under pressure chasing the huge total of 326 against Bangladesh. His 114 runs inning against Srilanka in the same tournament was also a proof that Fawad deserved a lot more than what he gets. Sohail Khan is one of the prominent fast bowlers belongs to Karachi also ambushed in politics and was ruled out of the team, stating that he is too old (33 years), if he is old then what about Wahab Riaz (32 years) who always got chance despite poor performances. Wahab Riaz has played 26 Tests in which he took 83 wickets averaging 33.53, whereas Sohail Khan appeared in 9 Test Matches and bagged 27 wickets with an average of 41.66. Moreover, the 30-years-old KP born Imran Khan who was well known with his reverse swing with old ball was also one of the other victims of favoritism. Imran played 9 Tests and took 29 wickets with an average of 30.14. He was consistent with his reverse swing. Nawabshah born all-rounder Kashif Bhatti who played 71 First-class matches scoring 2527 runs with an average of 24.77. He has an outstanding record with the bowl too, as he claimed 264 wickets. However, he never gets an opportunity to showcase his talent at International circuit. Umaid Asif who was the best all-rounder of Quaid-e-Azam trophy (2017-2018), is one of the tremendous talents we have right now in all-round department. He scored 1299 runs and took 178 wickets in his 54 first-class matches. If 37-year-old Hafeez despite his poor form can play in the team so why not these players who are performing well at National level? Chairman Najam Sethi said that he is a business minded person but I have an advice for Mr. Chairman that Instead of doing business he should concentrate on the cricketing affairs running in the board, otherwise we might face some more drawbacks in upcoming times.